Deaf Lottery draw 160 is now finished, there is now a new prize home, Deaf Lottery draw 178. Which is a brand new home valued at $700,000. Ticket's do sell fast, so be sure to get in quickly! Imagine paying out your mortgage, buying a new car, and going on the holiday trip you’ve always dreamed of. All of these and more are possible if you join the latest Deaf Lottery draw! The great thing about Draw 160 is that it gives you the opportunity to choose from four life-changing packages, and it also helps improves lives of the deaf and hard of hearing community. So don’t miss out on this chance. Get your tickets before the draw closes on October 16! Win the First Prize Worth $550,000! To be financially secure and have thousands of dollars locked away in your bank account. To live your dream of travelling and living on the road. To have the freedom and luxury to choose a home that is completely suited for your needs and lifestyle. To spend your windfall on the prizes you want to win, whether it be cars, motorhome, travel packages or gift cards. The first prize winner will be contacted via their listed landline or mobile phone number once all of the results have been finalised. All winners of Draw 160 will also be notified by mail via their supplied postal address. The Deaf Lottery knows that each person is different and that each person has different needs. This is why the first prize of Draw 160 does not come in one form. If you are the lucky winner of this raffle draw, you will get to select from four amazing lifestyle options! 1. Mortgage Buster Lifestyle: Enjoy Financial Comfort! Can you imagine the feeling of security of having funds in the bank when you need them? You could get your bills under control, take a long holiday trip, or upgrade your old car to the latest model. With the Mortgage Buster Lifestyle, all of these are possible! 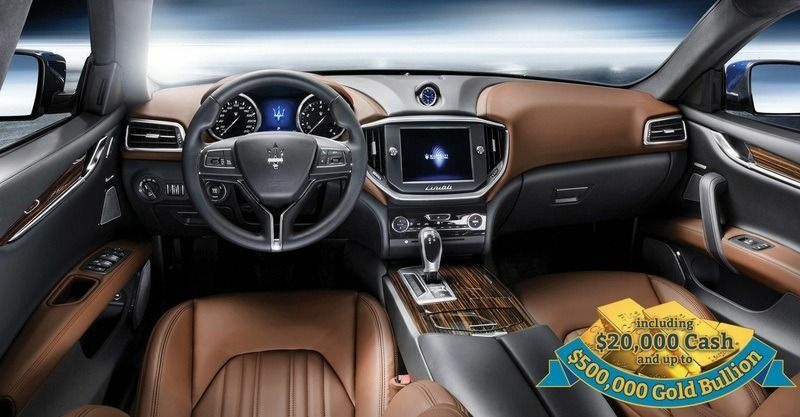 You can drive home a brand new Maserati Ghibli S with $350,000 Gold Bullion and $20,000 Cash sound in the backseat! 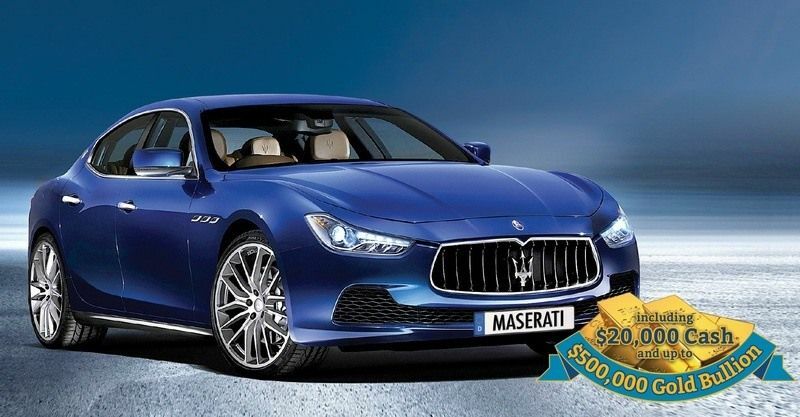 The sporty, sophisticated and dynamic Maserati Ghibli S is a supreme example of Italian design. 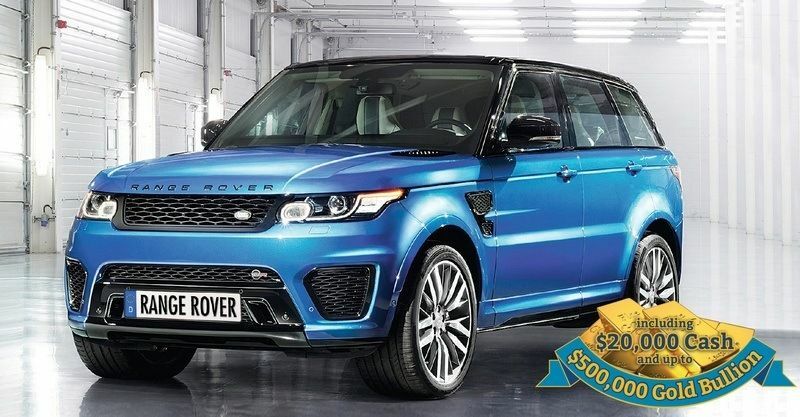 This vehicle combines sleek, sporty contours with exemplary engineering prowess. The Ghibli boasts an eight-speed ZF transmission and Twin Turbo V6 engines that carry you over the roads effortlessly. 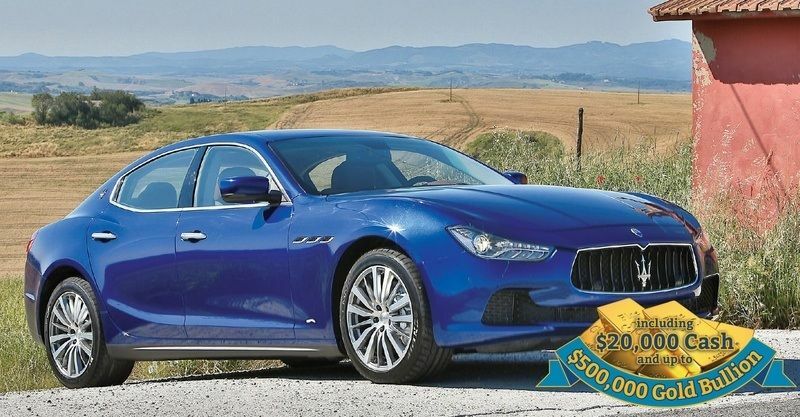 However, if the Maserati Ghibli S doesn’t suit your needs or style, you can receive the first prize as $500,000 in Gold Bullion, $20,000 in Cash, plus $30,000 minimum car dealership deposit to spend on the vehicle of your choice. Just imagine how your life will turn around! 2. Investment or Lifestyle: Design and Build to Your Taste! When you buy a ticket for the Deaf Lottery, you have the chance to win a dream opportunity to build your own personalised home! 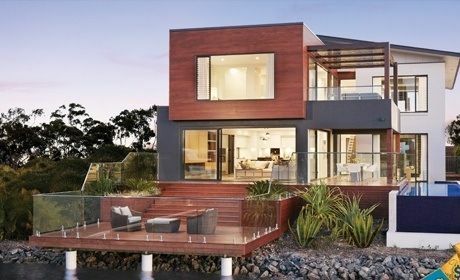 The Investment or Lifestyle option gives you have freedom to choose how you want to your dream house to look and where you want it to be built. 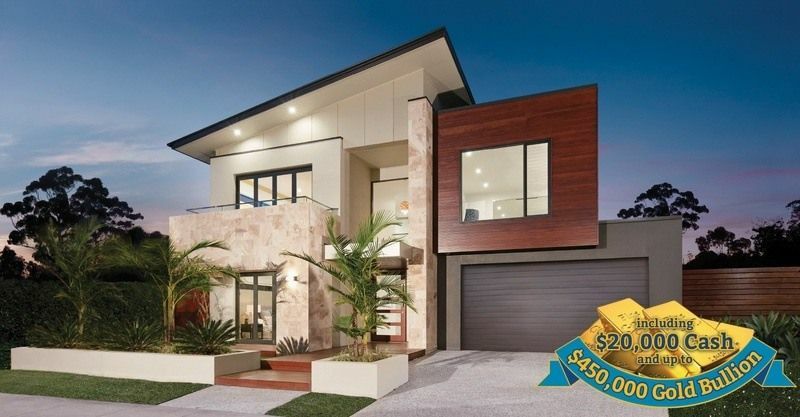 This option gives you $550,000 to spend in building a home, or purchase a home and land package from Metricon Homes. If you happen to own a lot already, you can select from one of the awesome packages offered by Metricon. There are single-storey and double-storey options, and you have a choice if you want three, four, or five bedrooms. You can choose a contemporary design or a classic look. It’s all up to you! You can take a look at Metricon’s home designs at their website. 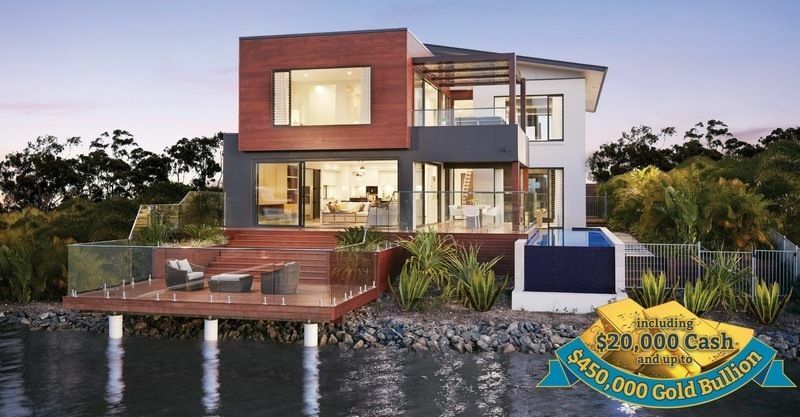 If you choose Investment or Lifestyle, you will receive $450,000 in gold bullion, $20,00 in cash, plus $80,000 minimum deposit with Metricon Homes to assist with your purchase. 3. Getaway Lifestyle: Live a Life of Travel! Are you the type of person who is always on the go? Do you love heading to the outdoors and living in different places? Then buy your book of tickets now, because you have a shot at winning the Getaway Lifestyle! Imagine having the choice to live on the road. With the turn of a key, you could be off driving to places in the country you have never been to. 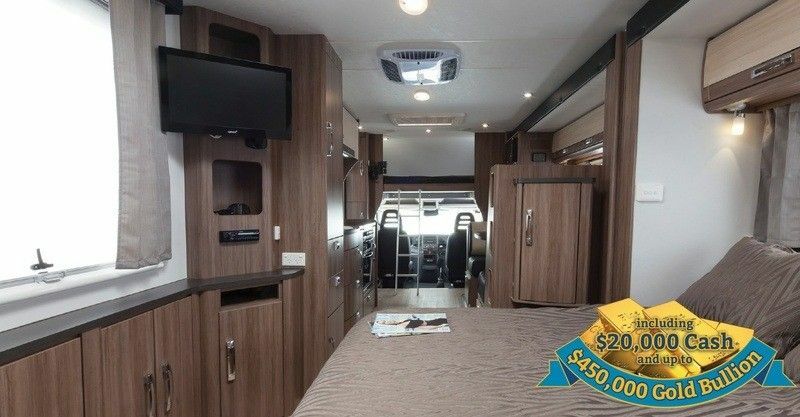 The Getaway Lifestyle gives you a 28’ Jayco Optimum Motorhome, plus $320,000 in gold bullion and $20,000 in cash. 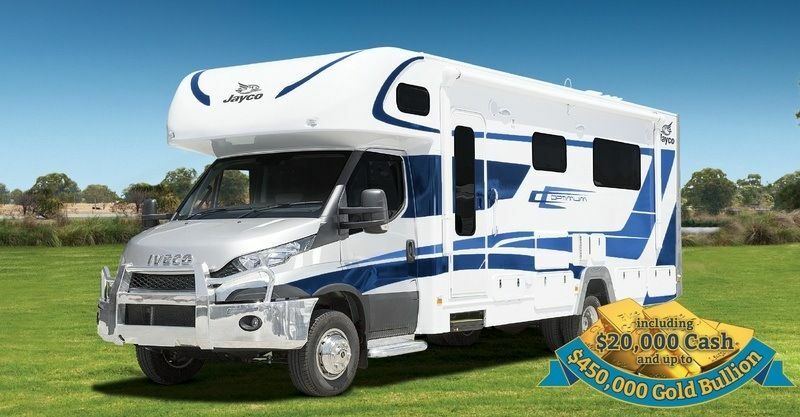 With the Jayco Motorhome, your road trips and touring holidays have never been easier! 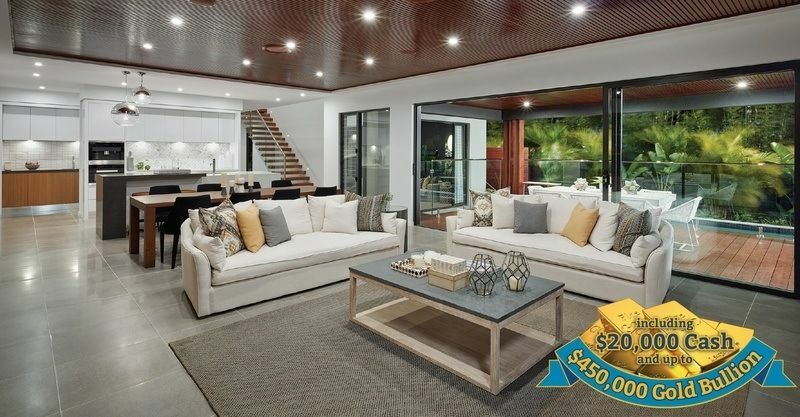 Now, if none of the options above caught your attention, you can just imagine spending $550,000 however you want! You can take a trip to a place you have never been before. You can invest in something you’ve always wanted. 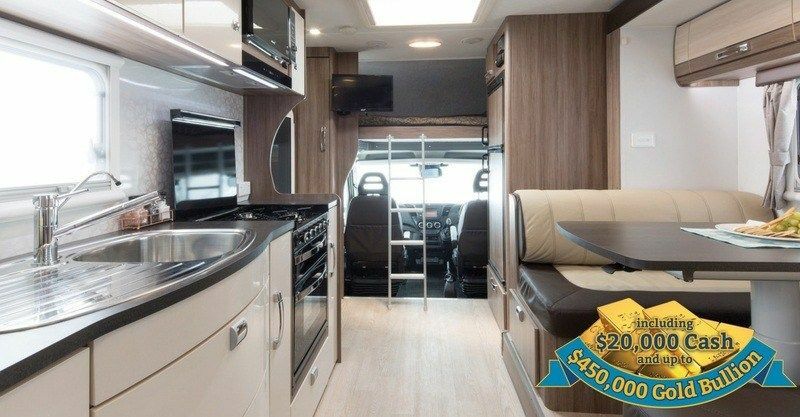 You can use your thousands of dollars by making a wish list of items and choose from Deaf Lottery’s portfolio of luxury motorhomes, trucks, marine vehicles, caravans, campers, motorbikes, travel packages, and gift cards. 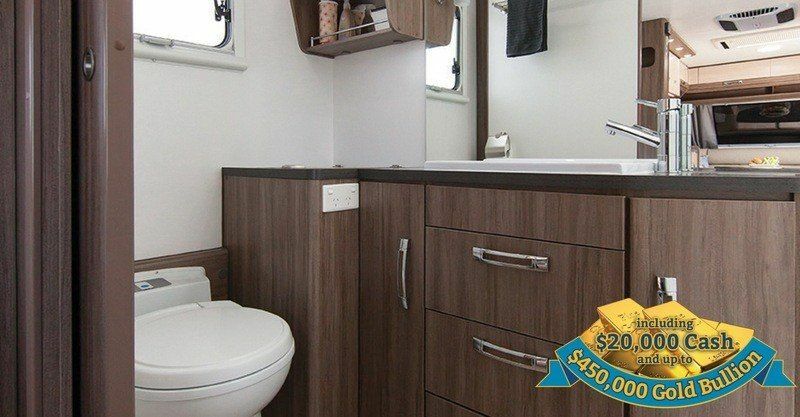 The Design Your Own Lifestyle option even comes with $20,000 cash! Now that you know all these first prize options, it’s up to you to decide which one to claim when you discover that you have won the lucky ticket! You don’t need to hurry that much, though, because the first prize winner will be given fourteen days from the draw date to decide on what option to take. What is the Most Popular Lifestyle Option? If you are wondering what lifestyle option has been the most popular choice for past Deaf Lottery winners, then you should know that it is none other than the Mortgage Buster Lifestyle option. The previous first prize winners have noted that the Mortgage Buster Lifestyle gave them financial freedom. Some used the gold bullion to invest in stocks and shares, while others cashed in the gold to use for bills. 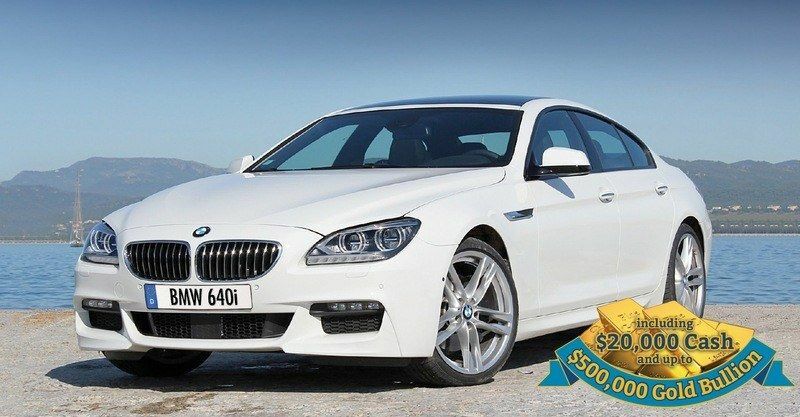 Previous winners have also shared that they bought a brand new car with their winnings. So when you become the next grand prize winner of the Deaf Lottery, you can start using the money in a way that helps you and your family the most. A single ticket to Draw 160 costs only $2. If you want to increase your chances of winning, multiple tickets come in $10, $20, $30, $50, $100 and $200 books. Each book gives you a shot at winning extra prizes if your win first prize. Deaf Lottery draws are conducted at 467 Engoggera Road, Alderley, 4051 under strict codes of the Queensland Government Licence and VIC permit regulations. 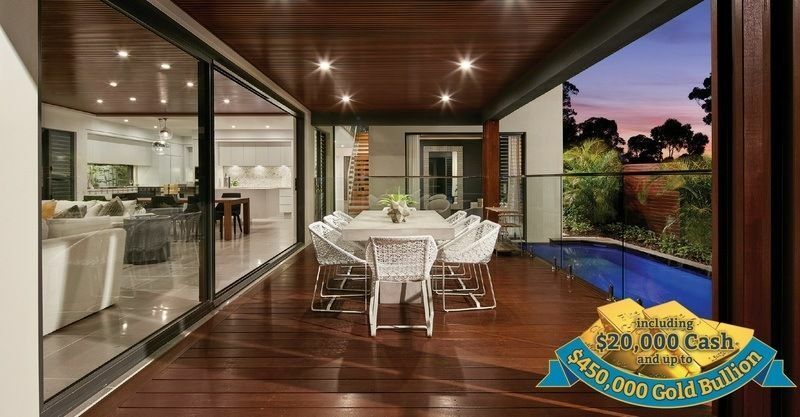 If you missed out on the amazing $550,000 first prize, you don’t have to worry. You can always buy tickets to the next draw, or you could win one of the 2nd to 100th prizes. If you buy a $20 book of tickets or higher before the closing date of Draw 160, you might win one of these Early Bird prizes! If you buy multiple tickets worth $20 or more before Midnight AEST 16 October 2016, you be automatically entered into the Full-Time Draw. If you are a lucky winner, you will receive one of the five $2,000 worth EFTPOS gift card or travel voucher. If you purchase multiple tickets worth $20 or more before Midnight AEST 10 October 2016, you will gain automatic entry to the Half-Time Bonus Draw. 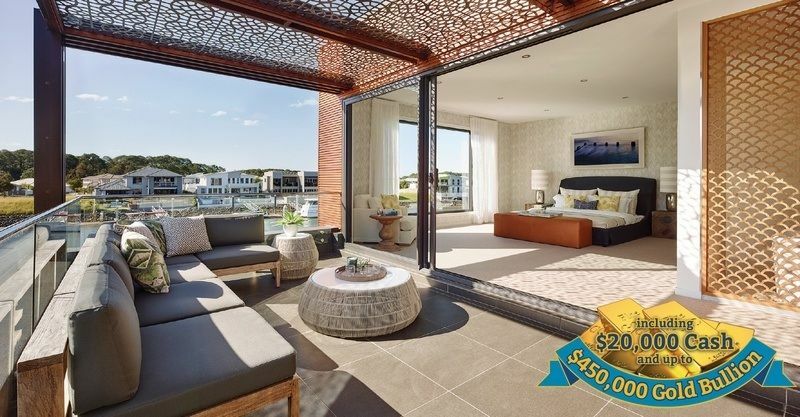 In this early bird draw, there are five $2,000 Travel or EFTPOS Gift Cards to be won. If you purchase tickets before 10 October 2016, you will also automatically earn entry to the Full-Time Draw. If you buy tickets worth $20 or more before Midnight AEST 18 September 2016, you get an automatic entry to the Kick-Off Bonus Draw. In this draw, a total of five lucky winners will be given $2,000 Travel or EFTPOS Gift Cards. When you are entered into the Kick-Off, you will also be entered to the Half-Time and Full-Time draws. Isn’t that amazing? By spending a minimum of $20, you get a shot at the first prize, the 99 other prizes, and these three early bird prizes! So what are you waiting for? Click the green “BUY TICKETS NOW” button and get your lucky tickets today! The Deaf Lottery is a fundraising program that helps to support, encourage, and better the lives of the deaf and hard of hearing community. The Deaf Lottery runs seven draws every year, in order to fund language classes, mentoring workshops, ageing well services, and independent living support. One of the most recent projects of the Deaf Lottery is Video Remote Interpreting (VRI). VRI is an innovative technology that allows deaf clients to access an interpreter without being in the same place. Through the VRI, an interpreter can log into a system and assist a deaf client from anywhere in Australia. The Deaf Lottery supports the VRI roadshow, helping the deaf members of the Australian community become aware that such technology is available. Equitable access to communication technology is a core focus for the Deaf Lottery. 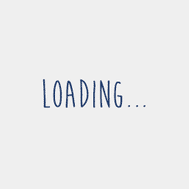 By joining the raffles, you continually help this organisation ensure that the deaf and hard of hearing community are empowered, connected and achieving. Deaf Lottery draw 160 is now finished, there is now a new prize home, Deaf Lottery draw 178. Which is a brand new home valued at $700,000. Take a look!